You might have seen our visit to Dubai on our Social Media channels, but why did we go there? You will read all about it here. We went to Dubai to visi the biggest state-of-the-art rehabilitation hospital of the United Arab Emirates. Why? Because we, HumanXR, have provided the design and software for their VR room. 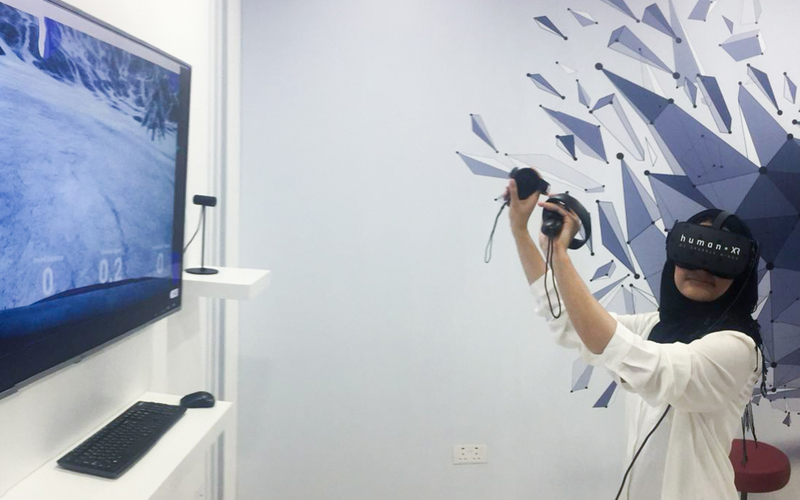 During the start-up of the biggest rehabilitation hospital of the United Arab Emirates, Thumbay Group came to us and asked if we could help them with the design for the VR room of their newest hospital. The possibilities to help them were definitely there, so we provided them with the design and our software for the VR room. 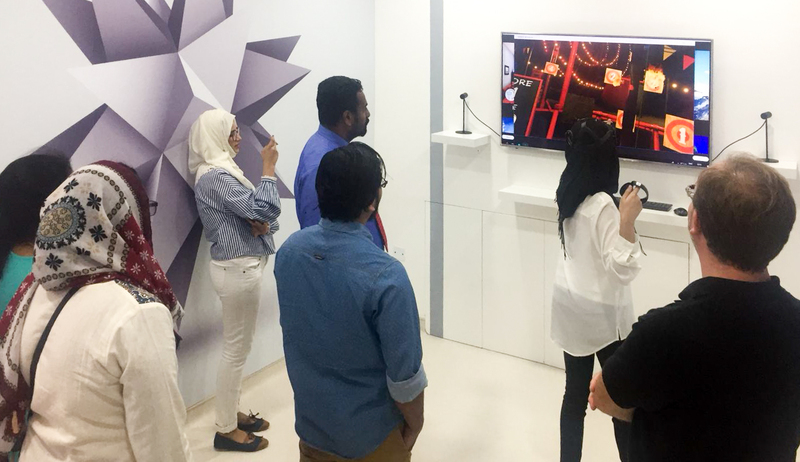 We have trained their staff members with a digital training, so they would know how to use our VR system. On the 4th of July the hospital was opened with the VR room that contains our system, but the official inauguration wasn’t until the 10th of September. Thumbay Group invited us to join this event. Time to get ready for a trip to Dubai to see the VR room. On the 7th of September Marco & Niels left to go to Dubai for the inauguration of the hospital. A very special moment to see the VR room including our own VR system. Marco & Niels gave the staff members an extra training. This time face to face. On the 10th of September the official inauguration of the hospital was held. We gave a demonstration of our VR system and showed the possibilities it has for rehabilitation. This in the company of the minister of health and the former cricket player & tv personality Wasim Akram. We also attended the ‘Innovation in Rehabilitation Congress’ that took place on the 10th of September as well. Here we demonstrated our VR systems to the attendees: doctors, professors and teachers. The congress was completely orientated on the innovative possibilities for rehabilitation. This gave us the opportunity to show what is possible with VR. We are very proud to show our work outside the borders of the Netherlands. We look forward to what the future will bring. 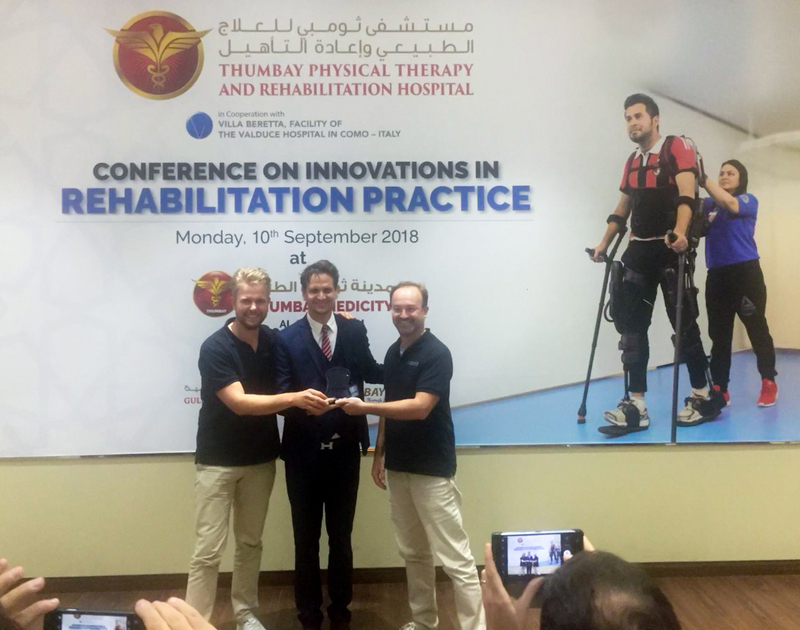 We will keep working together with Thumbay Group and Villa Beretta (our partner for rehabilitation) to explore the possibilities for VR and rehabilitation. Our HumanXR VR-platform turns 1!